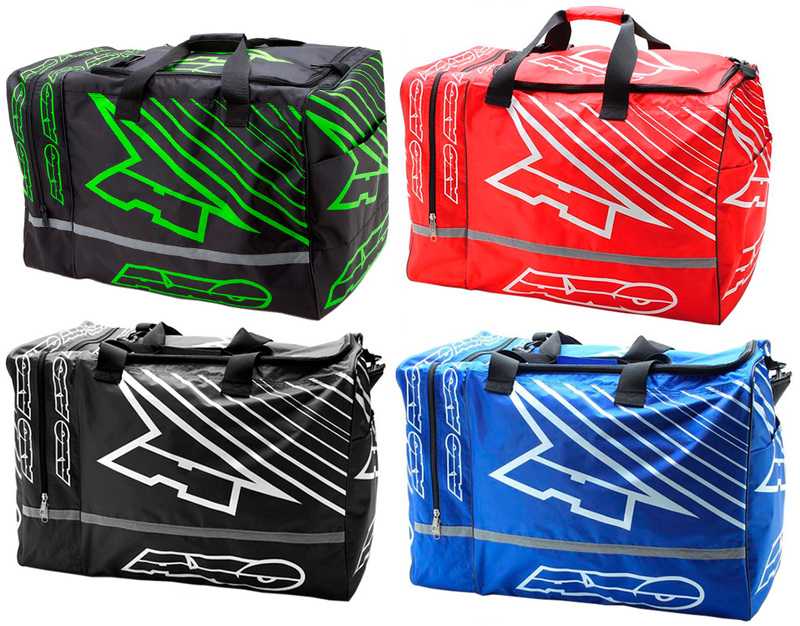 AXO bag fo enduro / cross equipment, 100% polyester. Side pockets with renforced zipper and velcro, respectively. Handles for carrying by hand or over the shoulder. Dimensions: 65 x 44 x 40 cm.